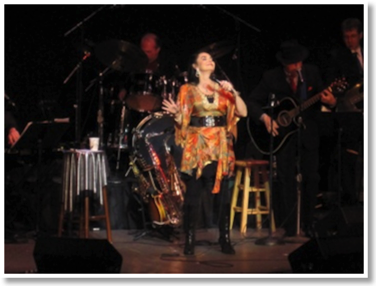 Artist Crystal Gayle has been a consistent influence since the 1960s in country music. Her warm lyrics and solid music keep old and draw new fans to her. Perhaps it’s her 20 number one hits, and the 34 top ten hits that have made her an icon in her field. She also has 61 singles and 13 music videos, and in the last five decades Gayle also amassed more then 22 albums to her credit. Gayle has also toured around the world from the Far East to Europe and has earned a Grammy Award for Best Female Vocal Performance of “Brown Eyes.” She also won the Country Music Award for Female Vocalist of the Year for two consecutive years. A new album will be released later this year by Gayle. And in this interview Gayle shares her love of music and hopes for the future. Michelle Garcia: What can your fans expect for 2013? 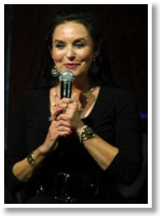 Crystal Gayle: I’m finishing up an album of some of my favorite country standards. We’ve reached into the past and they bring back so many great memories. Songs like, “Please Help Me I’m Falling,” [and] “That’s The Way Love Goes” just to name a couple. It seems that music runs in the family what with you and your sister being well accomplished singers. Are any of your children thinking about furthering that growing tradition and going into any sort of music career? My son, Chris is a graduate of Belmont University. He’s been working in our studio on my new album, but also working with other Artist, Producers and Engineers. Chris has a good ear and plays many instruments. I’m a proud Mom! Did you ever feel that because your older sister was a well-known artist, you had to be as well? No, I never felt I had to become well-known because of my sister. My mother said I could sing before I could walk. I just loved singing. I would be singing somewhere, someplace even if I wasn’t well known. Would you say the music industry in your particular genre has changed since you first stepped into it? If so, how would you say it has changed? The music business has changed in many ways since I first started to record. The business is much wider now. Especially with the internet and it is still evolving, many people can record their own projects without the help of the big companies. And some are doing really well! How has the change in the genre changed you as an artist? I don’t think it has changed me as an artist. I still record songs that mean something to me. Not because it’s the latest topic to sing about. What songs or artists in particular made more of an impression on you as a child? I grew up listening to so many different styles of music. I loved listening to Leslie Gore, The Beatles, Peter Paul & Mary, The Rolling Stones, Billie Holiday, Brenda Lee and of course my sister, Loretta. What sort of songs or artists leave a lasting impression on you today? I enjoy listening to so many different styles of music. I enjoy listening to Kelly Clarkson, Phillip Phillips, Adele, Mary J. Blige and of course Martina McBride, Ray Price, Taylor Swift and many more. I love strong vocalist that when you hear them on the radio, you know who they are. Does your sister still offer you guidance in your work? Is there any chance we might see a collaboration work soon? Loretta gave me a lot of advice when I was starting out. The most memorable and helpful was when Loretta told me to quit singing her songs. 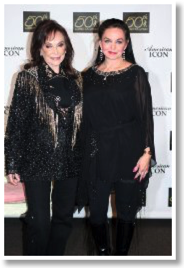 She said, “There was already one Loretta Lynn and we don’t need another.” And she was right! We love working together, but we don’t get in the studio together much. I wish we would, maybe someday. What have been your three most special memories in music? There are so many special memories from my career it’s difficult to name only 3. What comes to mind is traveling with Bob Hope to China for one of his television specials. That was a great trip. Bob and his wife, Dolores, were very special people. Another is having someone knock on my dressing room door letting me know that Katherine Hepburn had requested to meet me. She wanted to meet “the girl with the long hair.” That is a moment I will never forget. Receiving a star on the world famous Hollywood Walk of Fame was very special. It was a day filled with wonderful friends, business associates and family. I will never forget that day. 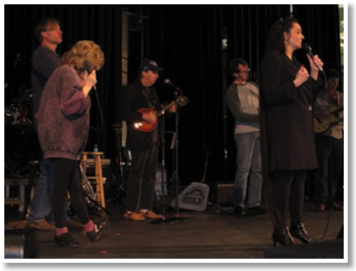 http://www.crystalgayle.com/ or by visiting her Twitter and Facebook pages.